This is a fair question to ask. In fact, project managers SHOULD be asking this question. 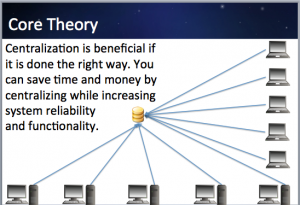 After all, chances are that your organization has already purchased hardware or software in the last few years based on a recommendation that would improve profitability or efficiency, or simply to keep pace with an ever-changing automated industrialization market that demands its participants stay up to date on what technology has to offer. 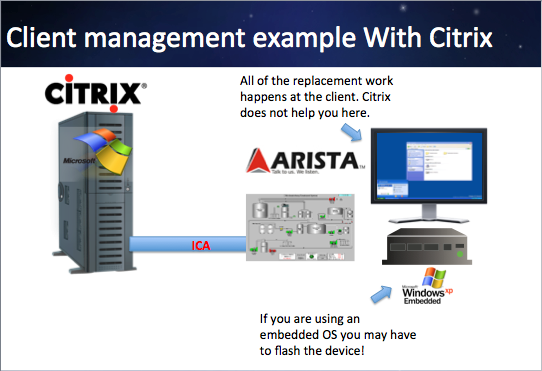 So we have decided to analyze the differences between ThinManager and Citrix to answer that question once and for all. But before we can examine the differences between the two, we need to look at their basic similarity to truly understand the differences. 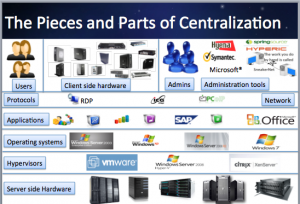 Both ThinManager and Citrix are based on the time honored “Theory of Centralization”, which simply states that Centralization is a more cost effective and less time consuming method of management. But here is where the similarity ends. 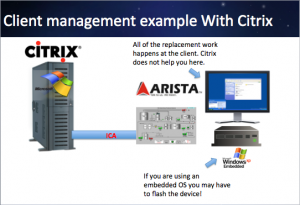 Citrix centralizes applications while ThinManager centralizes the OS. By implementing ThinManager, the end user reduces the number of boxes and individual operating system licenses. 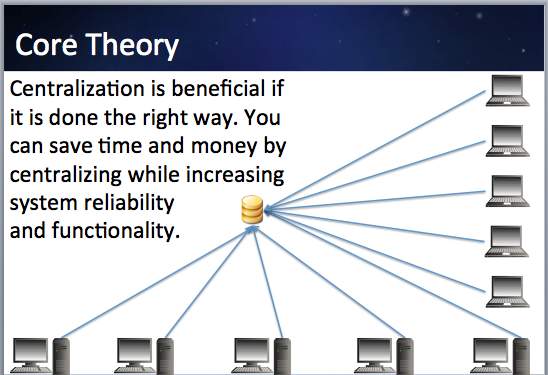 This creates a much lower TCO (Total Cost of Ownership). By maintaining a single OS on a server, less time is needed to ensure that every station at a facility is using the most current version of the OS and all applicable drivers. 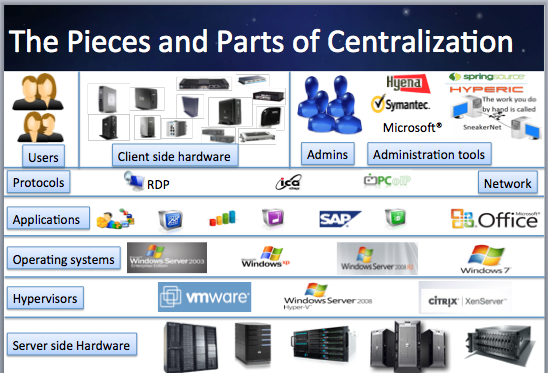 This, of course, beckons the question “What is the right way to centralize?” It is a simple question, but one with many factors to take into account before being able to properly answer. 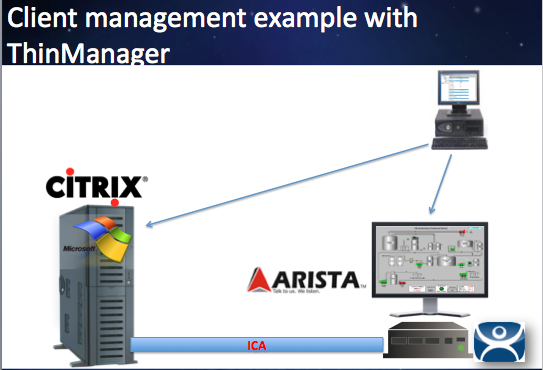 In most facility networks, a project manager has to take into account the different pieces of Client side and Server side hardware out on the floor, as well as everything in between including administration tools, protocols, applications, operating systems, and hypervisors (as well as your HMI).Understanding that this is a maddening process to begin with should underline the importance of a versatile management platform to bring together all of the different pieces of the puzzle. ThinManager allows the user to manage EVERYTHING with one piece of software by acting as a bridge between all of your clients and their connections to your centralized systems. So then what is the fundamental difference between how ThinManager and Citrix function? Let me show you an example of a real world issue and how each platform is designed to deal with the effects of that issue. For this example, we will look at a hypothetical situation involving a terminal server with a single thin client using a touch screen to run a specific application. The terminal server is running Citrix and the client is running embedded XP with a touch screen driver. Now of course, you don’t actually have another touchscreen that is the same model and manufacturer, so you grab whatever touch screen you have and go to swap them out. Unfortunately, with the server side management system employed by Citrix, replacing that broken piece of hardware is just the beginning. Now you have to map a network drive and flash the device, as well as locating, downloading, and installing the driver for the new touch screen. And while you are doing this, your productivity is plummeting because your entire production line is at a standstill until you can get this up and running. When presented with the same hypothetical using Thinmanager instead of Citrix, it will take minutes instead of hours to get the production line back up and running. Simply plug in the new touch screen and reboot the client. That’s it! Now, not only have you saved yourself by limiting your downtime, you are not spending money to have an engineer spend HOURS making everything work correctly. Understanding that hardware will break and unexpected events will cause stoppages is smart business. Knowing that you can reduce cost and downtime by using the ThinManager client management technology is even smarter.